Summary: Father’s Day message focusing on the characteristics of our perfect heavenly father with applicaton to our earthly fathers. It was actually a summation of a serious on the Fatherhood of God. A year ago we took the time to look at the characteristics of a perfect father and then discovered that our Heavenly Father exhibits all of them. I saved the summarizations of that series for today’s message in hopes of seeing the whole picture and then applying it to father’s today. The unique issues related to Mother’s Day are equally true for Father’s Day. First, on whom do you focus; husbands, fathers, children? Second, there are many whose fathers are no longer living. Third, some struggle with deep emotional scaring left by a negligent, absent or abusive or difficult father or set father. Fourth, there are some who by choice or by circumstance never fathered children. 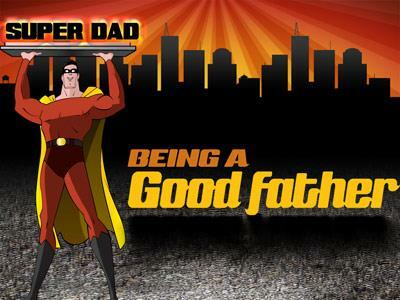 Fifth, many fathers experience a surge of guilt for their failure to be the perfect dad. That guilt may be accentuated by a lack of response from his children on Father’s Day. Finally, for some dads, fatherhood was an excruciating and painful experience. Out of control children, burnout, death of a child, bad decision, guilt, regret, worry. 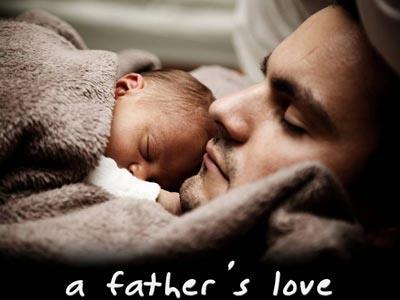 Fathers play an enormous role in the family. There is considerable potential for influence both negative and positive. Fathers pass on character traits both by example and by genetics. This is scary. Of greater significance than physical inheritance, fathers can pass on a spiritual and character heritage. We all carry genes from both father and mother. We all learned certain traits from both father and mother. Our kids learned certain responses both by example and by teaching. All it takes is one generation to neglect passing on a spiritual heritage to the next to eliminate a spiritual awareness all together. Paul urged his followers to follow his example. “Follow me as I follow Christ.” If it is not important to dad, it probably won’t be important to the kids. “Do what I say and not what I do” doesn’t cut it. You can pass on information by formal instruction but character is learned through observation. What kind of character are we passing on? The sins of the fathers get passed to the next four generations of offspring. What kind of twisted heritage have we passed on to our children? It can be broken and it can be offset by a return to following after Christ and prayer. Fortunately we have a Heavenly Father, who through the new birth” passes on His righteous DNA to His chosen children. We were created in His image and Christ is restoring what we have ruined. His seed implanted in the depth of our soul motivates us to become more like Him. We will be like Him because we will see Him as He is. We will be like Him because it is the spiritual destiny of every genuine child of God. There is only one way to enjoy this connection. We all longed for the acceptance of our father. We strive to be affirmed as sons and daughters. Some never heard those words and continue their search for acceptance to this day. There is something powerful in a father’s affirmation of his children. There is a longing to find acceptance apart from performance. Can he love me just for who I am apart from what I do? Dads! Affirm your children! Even if you didn’t hear it from your parents, you can speak it. What our earthly father’s failed to do, our Heavenly father promises. He loves us with an everlasting love. Who (or what) will separate us from the love of Christ? Will tribulation, or distress, or persecution, or famine, or nakedness, or peril, or sword? But (in spite of it all) in all these things we overwhelmingly conquer through Him who loved us. 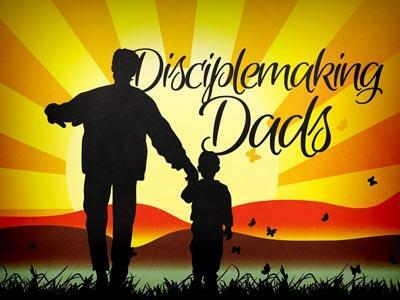 Father’s Day message focusing on the characteristics of our perfect heavenly father with applicaton to our earthly fathers. It was actually a summation of a serious on the Fatherhood of God.